In many States local bodies have become weak and ineffective on account of a variety of reasons, including the failure to hold regular elections, prolonged supersession and inadequate devolution of powers and functions. As a result, Urban Local Bodies are not able to perform effectively as vibrant democratic units of self-government. (iv) providing adequate representation for the weaker sections like Scheduled Castes, Scheduled Tribes and women. (iii) Municipal Corporations for larger urban areas. (o) bar of jurisdiction of Courts in matters relating to elections to the Municipalities. 1. Short title and commencement.-(1) This Act may be called the Constitution (Seventy-fourth Amendment) Act, 1992. (2) It shall come into force on such date_681 as the Central Government may, by notification in the Official Gazette, appoint. (g) "population" means the population as ascertained at the last preceding census of which the relevant figures have been published. Provided that a Municipality under this clause may not be constituted in such urban area or part thereof as the Governor may, having regard to the size of the area and the municipal services being provided or proposed to be provided by an industrial establishment in that area and such other factors as he may deem fit, by public notification, specify to be an industrial township. (2) In this article, "a transitional area", "a smaller urban area" or "a larger urban area" means such area as the Governor may, having regard to the population of the area, the density of the population therein, the revenue generated for local administration, the percentage of employment in non-agricultural activities, the economic importance or such other factors as he may deem fit, specify by public notification for the purposes of this Part. 243R. Composition of Municipalities.- (1) Save as provided in clause (2), all the seats in a Municipality shall be filled by persons chosen by direct election from the territorial constituencies in the Municipal area and for this purpose each Municipal area shall be divided into territorial constituencies to be known as wards. (b) the manner of election of the Chairperson of a Municipality. 243S. Constitution and composition of Wards Committees, etc.-(1) There shall be constituted Wards Committees, consisting of one or more wards, within the territorial area of a Municipality having a population of three lakhs or more. (b) the manner in which the seats in a Wards Committee shall be filled. (3) A member of a Municipality representing a ward within the territorial area of the Wards Committee shall be a member of that Committee. (b) two or more wards, one of the members representing such wards in the Municipality elected by the members of the Wards Committee, shall be the Chairperson of that Committee. (5) Nothing in this article shall be deemed to prevent the Legislature of a State from making any provision for the constitution of Committees in addition to the Wards Committees. 243T. Reservation of seats.-(1) Seats shall be reserved for the Scheduled Castes and the Scheduled Tribes in every Municipally and the number of seats so reserved shall bear, as nearly as may be, the same proportion to the total number of seats to be filled by direct election in that Municipality as the population of the Scheduled Castes in the Municipal area or of the Scheduled Tribes in the Municipal area bears to the total population of that area and such seats may be allotted by rotation to different constituencies in a Municipality. (3) Not less than one-third (including the number of seats reserved for women belonging to the Scheduled Castes and the Scheduled Tribes) of the total number of seats to be filled by direct election in every Municipality shall be reserved for women and such seats may be allotted by rotation to different constituencies in a Municipality. (4) The officers of Chairpersons in the Municipalities shall be reserved for the Scheduled Castes, the Scheduled Tribes and women in such manner as the Legislature of a State may, by law, provide. (6) Nothing in this Part shall prevent the Legislature of a State from making any provision for reservation of seats in any Municipality or offices of Chairpersons in the Municipalities in favour of backward class of citizens. Provided that a Municipality shall be given a reasonable opportunity of being heard before its dissolution. 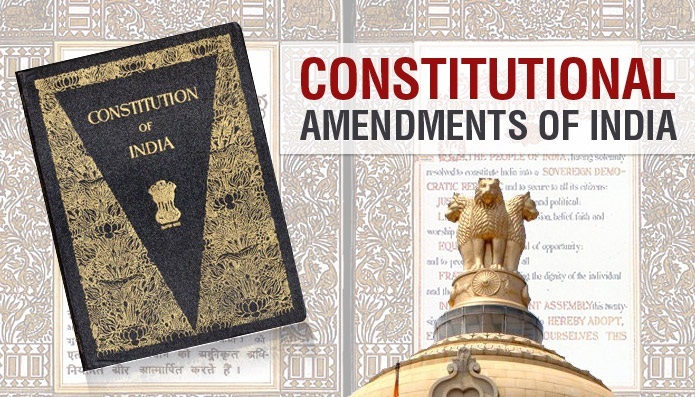 (2) No amendment of any law for the time being in force shall have the effect of causing dissolution of a Municipality at any level, which is functioning immediately before such amendment, till the expiration of its duration specified in clause (1). Provided that where the remainder of the period for which the dissolved Municipality would have continued is less than six months, it shall not be necessary to hold any election under this clause for constituting the Municipality for such period. (4) A Municipality constituted upon the dissolution of a Municipality before the expiration of its duration shall continue only for the remainder of the period for which the dissolved Municipality would have continued under clause (1) had it not been so dissolved. (2) If any question arises as to whether a member of a Municipality has become subject to any of the disqualifications mentioned in clause (1), the question shall be referred for the decision of such authority and in such manner as the Legislature of a State may, by law, provide. (b) the Committees with such powers and authority as may be necessary to enable them to carry out the responsibilities conferred upon them including those in relation to the matters listed in the Twelfth Schedule. (d) provide for constitution of such Funds for crediting all moneys received, respectively, by or on behalf of the Municipalities and also for the withdrawal of such moneys therefrom. (c) any other matter referred to the Finance Commission by the Governor in the interests of sound finance of the Municipalities. (2) The Governor shall cause every recommendation made by the Commission under this article together with an explanatory memorandum as to the action taken thereon to be laid before the Legislature of the State. 243Z. Audit of accounts of Municipalities.-The Legislature of a State may, by law, make provisions with respect to the maintenance of accounts by the Municipalities and the auditing of such accounts. 243ZA. Elections to the Municipalities.-(1) The superintendence, direction and control of the preparation of electoral rolls for, and the conduct of, all elections to the Municipalities shall be vested in the State Election Commission referred to in article 243K. (2) Subject to the provisions of this Constitution, the Legislature of a State may, by law, make provision with respect to all matters relating to, or in connection with, elections to the Municipalities. 243ZC. Part not to apply to certain areas.-(1) Nothing in this Part shall apply to the Scheduled Areas referred to in clause (1), and the tribal areas referred to in clause (2), of article 244. 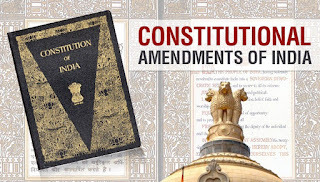 (3) Notwithstanding anything in this Constitution, Parliament may, by law, extend the provisions of this Part to the Scheduled Areas and the tribal areas referred to in clause (1) subject to such exceptions and modifications as may be specified in such law, and no such law shall be deemed to be an amendment of this Constitution for the purposes of article 368. 243ZD. Committee for district planning.-(1) There shall be constituted in every State at the district level a District Planning Committee to consolidate the plans prepared by the Panchayats and the Municipalitiies in the district and to prepare a draft development plan for the district as a whole. (d) the manner in which the Chairpersons of such Committees shall be chosen. (4) The Chairperson of every District Planning Committee shall forward the development plan, as recommended by such Committee, to the Government of the State. 243ZE. Committee for Metropolitan planning.-(I) There shall be constituted in every Metropolitan area a Metropolitan Planning Committee to prepare a draft development plan for the Metropolitan area as a whole. (e) the manner in which the Chairpersons of such Committees shall be chosen. (4) The Chairperson of every Metropolitan Planning Committee shall forward the development plan, as recommended by such Committee, to the Government of the State. (b) no election to any Municipality shall be called in question except by an election petition presented to such authority and in such manner as is provided for by or under any law made by the Legislature of a State.'. "(c) the measures needed to augment the Consolidated Fund of a State to supplement the resources of the Municipalities in the State on the basis of the recommendations made by the Finance Commission of the State;". 14. Burials and burial grounds; cremations, cremation grounds and electric crematoriums. 18. Regulation of slaughter houses and tanneries. ''.